What if we’re wrong: litmus tests on Israel and Palestine by Penina Eilberg-Schwartz, which I’m posting in the spirit of paying attention to bridge builders and thoughtful people. This very clear and measured report was commissioned to assist the All-Party Parliamentary Inquiry into Antisemitism. Ben Gidley, a Senior Researcher at the University of Oxford’s Centre on Migration, Policy and Society, explores the impact of events in the Middle East on antisemitic discourse in the UK. It seems certain that last July’s spike in antisemitic incidents was connected to Operation Protective Edge. This report sets out to investigate trickier questions about the nature and degree of antisemitic discourse associated with protests against Israel, and the effects of the way the media reported both on the conflict and the demonstrations (p.2). Some cases are more complex. Gidley suggests that the phrase ‘child murderers’, if directed at Israel, is ‘potentially legitimate criticism’ (p. 5). But it may trigger sensitivities due to the antisemitic blood libel trope. Inevitably there are grey areas where sincere disagreement or misunderstanding may occur. Variations on the historic blood libel, malicious uses of Holocaust comparison, attributions of Jewish collective responsibility or dual loyalty, and images of Jewish power. Many children did die in Gaza, and it’s not surprising that Israel’s critics focus on this issue. However, it’s equally unsurprising that ‘British Jews, sensitive to the use of the blood libel in triggering pogroms historically, may be likely to experience accusations of antisemitism through this lens.’ (p. 7) And, when the phrase ‘child murderers’ moves away from the street protest and is pinned onto a synagogue – then clearly the boundary has been crossed. Holocaust comparisons are another common vector for antisemitism. ‘Holocaust inversion’ casts Israel as the new Nazis, Palestinians as the new Jews, and, just a little more subtly but hardly less offensively, Jews are blamed for not learning the correct lessons from the Holocaust (p. 8). There’s some very precise analysis of the mechanisms at work in the cross-pollination between far left anti-Zionism and far-right antisemitism. In many cases, anti-Israel activists in perfectly good faith recirculate material from far right provenance. Thus casual and unwitting low-level forms of antisemitism circulating in the wider culture can reinforce and draw people towards more ideological forms of antisemitism. Gidley then expands on the importance of recognizing that actions or words may have no antisemitic intent yet still be ‘objectively’ antisemitic in their impact (p. 11). Finally, a worrying tendency to overlook or dismiss accusations of antisemitism is analyzed, and identified as a particular danger when Israel receives such disproportionate scrutiny in the media, particularly the left wing media. Over the past several years Green Party members have proposed a number of motions and initiatives tackling antisemitism, all of which have been defeated or deformed beyond usefulness by anti-Zionists. As The Guardian’s Hugh Muir observed back in 2010, Green officialdom has long opted to brush concerns about antisemitism under the carpet. Below are the most recent fruits of that – a bit of background, a brief timeline of recent events, and finally why you’d be wrong to blame me for bringing this to light. For a long time the Green Party has been racked by bitter, polemical campaigning against Israel which has crashed the boundaries of simple anti-Zionism. It has included calling Green Party members who defend Israel Nazi infiltrators, alleging that a non-Israeli member with a Jewish name was an Israeli agent, failing to react appropriately to antisemitic comments in a discussion of a “Zionist lobby“, saying that Israeli academics were “not part of the civilised world”, circulating material by David Duke and quasi journalists concerned about Jewish influence in Parliament, promoting material by Gilad Atzmon, objecting to Jews taking certain official positions, affiliating to the Palestine Solidarity Campaign and Stop the War Coalition, and tending to treat concerns about antisemitism as politically motivated. A main channel for all this was internal Green Party email discussion groups, particularly the International List which discussed little else. Concerned members made several official complaints at the heart of which were failures by those assigned to moderate these groups. The complaints did not lead to any action, though. Some were rejected while others went into limbo. In contrast, a shockingly flimsy complaint against one member on a charge of disrepute and entryism on behalf of Israel progressed smartly to an internal tribunal (although the member, with help, managed to clear herself she has never been notified of the outcome). Members, including me, left, resigned their candidacy, or retreated into the background in protest about both the antisemitism and the ineptitude of the responses. The invective about Israel continued unabated. By some time in 2011 the International List moderator had had enough so it was decided to separate off the Israel-related stuff to the relative containment of a new discussion list called Palandisrl. The new list’s first moderator was someone who had referred to Israel as a “bloated state” with “US puppets in the UN”, and Zionism as “incompatible with Green views” and “an ancient theological fantasy”, so things went on in the same vein but with added moderator caprice. It quickly became an anti-Israel echo chamber where things could get quite surreal. When Terry Gallogly (Yorkshire & Humber Green Party) circulated a video of the 2012 Olympic logo morphing into the word ‘Zion’, an appalled member bypassed the moderator in favour of an email to then-leader Caroline Lucas. Lucas sent a quick, unambivalently sympathetic response but again as far as we know no further action was taken. At some stage Shahrar Ali (Brent Green Party and recently elected joint Deputy Leader) took over moderation. That was some background – a brief timeline follows. 8 August – during Operation Protective Edge the discussion on the Palandisrl list became over-heated. Malcolm Chapman (Yorkshire & Humber Green Party) circulated a diatribe he had authored titled ‘GENOCIDE TODAY ~ A CALL TO BOYCOTT’. Soon afterwards it was published on the Y&H website (no link because it was taken down without explanation on 8 September). Interspersed with some trenchant criticism of Israel were references to a Holocaust “happening again”, “real terrorists” who “call their victims terrorists”, “deliberate targeting of civilians”, “influence over foreign governments”, “you have the memory of genocide in your DNA, why do you want to visit it upon others”, “why pretend any longer that your Palestinian Semite cousins have no right to their ancestral homeland”, and “all of Palestine must be freed from oppression”. More on why this is objectionable below. 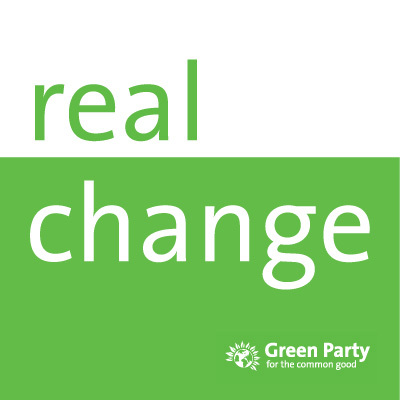 14 August – I (a former member of Waltham Forest & Redbridge Green Party, who due to some bureaucratic error even now receives Palandisrl messages) emailed a request to Martin Deane and Shan Oakes (contacts for Y&H) to take down the piece, giving notice that otherwise I and others planned to make a complaint about antisemitism. 15 August – Martin Deane responded with a long defence but no undertakings, so our complaint was submitted. We took issue with the singularly hostile treatment of Israel, and the simplistic victim/perpetrator story which failed to recognise the role Hamas and the local jihadis in the conflict. We raised the matter of Holocaust inversion, an anti-Jewish propaganda tactic actively pursued by the far right, including Hamas. We pointed out the cruelty in referring to the Holocaust as a lesson Jews failed to learn. We observed that the mystified portrayal of the world’s sole Jewish state as a sinister, irresistible power resonates with the portrayal of Jews by people who hate Jews. We expressed discomfort with the racialised and tribal language of the piece. We objected to Malcolm Chapman’s failure to provide evidence for any of his claims, which made the Green Party look ignorant as well as prejudiced. 16 August – things got very much worse. Martin Deane posted an email to the Palandisrl list including the sentence “At this time, to be accused of antisemitism here is a sign we’re probably doing something right”. This sentence crossed the line from shame and denial of antisemitism, to owning antisemitism. A conscientious, responsible moderator would have quickly intervened, but instead nobody intervened. 17 August – I emailed Shahrar Ali as Palandisrl moderator, reminding him of the need for scrupulous moderation on that list, warning that I would publish the events and offering him a chance to respond. He did not respond, nor did anybody on his behalf. I’ve waited a month. 6 September – at the Green Party Autumn Conference Shahrar Ali was elected male deputy leader of the Green Party. 8 September – the ‘GENOCIDE TODAY’ piece was quietly taken down. Since the Green Party has not responded to our complaint about the piece, the reasons for this are unclear. However we do know that somebody had a ‘quiet word’. 12 September – on the Palandisrl list, former Green Party male speaker and newly elected International Coordinator Derek Wall announced that Shahrar Ali would be stepping down as moderator and invited volunteers to replace him. When Martin Deane volunteered Derek Wall, who is himself energetically anti-Zionist, responded that he would be “very happy” for him to take the role. Perhaps at this stage you’re inclined to shrug – after all, this kind of talk is normal now. But it shouldn’t be because it lowers resistance to antisemitism when what we need to do is make antisemitism strange. Perhaps you’re thinking that I am trying to create a diversion from criticism of Israel. But Greens Engage has frequently directed attention to criticism of Israel. Perhaps you’re of the opinion that the Greens’ creation of the Palandisrl list was a principled measure of containment and damage limitation, a sort of pre-moderation in itself. But the Green Party was aware of antisemitism from these quarters, has taken a policy stand against it, and therefore has a responsibility to keep things clean under that stone. Perhaps you’re wondering why I didn’t pursue the ‘quiet word’ approach – the offending piece is gone now, after all. The reason I wasn’t prepared to pursue the matter informally and discreetly through an intermediary is because I consider that approach ultimately unsustainable, not to mention disempowering for members without these privileged connections to the inner circle of activists. Perhaps you’re tempted to shoot the messenger or deny that anything antisemitic has or possibly could have happened in the Green Party, because the Green Party is the party of the good people. Well, Shahrar Ali, the moderator of the step change when Martin Deane announced “At this time, to be accused of antisemitism here is a sign we’re probably doing something right” is now a Deputy Leader of the Green Party. His conference speech was all about the need to fight discrimination. That anti-discrimination agenda needs to properly and practically extend to Jews – including Zionist ones, and even when the attacks on them come from what seems to be pro-Palestine campaigning. And then there’s Martin Deane himself, selected to replace Shahrar Ali as moderator of a discussion about Palestine and Israel. So this is not an anti-Green Party post and it’s not suggesting that antisemitism characterises the Green Party. This post has happened because there are no functioning official internal channels for redress on antisemitism. As well as being frightening and wrong, antisemitism weakens both the Green Party and the cause of Palestinian emancipation. In this case I’m hoping that sunlight is the best disinfectant. Jews and the Left. Philip Mendes in the New Summer Edition of Fathom. The new Summer edition of Fathom is now out. Read an interview with Philip Mendes on “Jews and the Left” here. Alan Johnson writes about the new edition of Fathom. The deal struck between Iran and the P5+1 nations in November 2013, is the subject of Ben Cohen’s interview with Olli Heinonen the former International Atomic Energy Agency (IAEA) Deputy Director General. The relationship between some demonising forms of ‘anti-Zionism’ and contemporary antisemitism is the concern of several contributors to Fathom 5. Dave Rich explains the unwelcome arrival of the Quenelle, Lesley Klaff examines the ugly phenomenon of ‘Holocaust Inversion,’ while David Hirsh reviews those aspects of Jewish left-wing anti-Zionism that have helped foster BDS activism in the West. Martyn Hudson looks back at the life of the Polish historian and socialist Isaac Deutscher, and Michael Allen reviews Gil Troy’s study of Daniel Patrick Moynihan, the US Ambassador to the United Nations who opposed the ‘Zionism is Racism’ resolution passed by the General Assembly in 1975. Two book reviews discuss aspects of the history of Zionism. Colin Shindler praises Shlomo Avineri’s study of Theodor Herzl for ‘casting a new light on the short, troubled and driven life’ of the founder of Zionism. Liam Hoare reviews Yossi Klein-Halevy’s Like Dreamers: The Story of the Israeli Paratroopers Who Reunited Jerusalem and Divided a Nation. Israel’s Arab citizens are the focus of two important essays by Safa Abu-Rabia and Joshua Muravchik. Abu-Rabia maps the emergence of an exciting new Bedouin Arab leadership in Israel’s Negev region, while Muravchik shows that when it comes to evening out the differences between its Jewish and Arab citizens, Israel has done rather better than most countries encompassing sharply diverse nationalities. We also spoke to Sayed Kashua, the creator of the hugely popular Israeli television sitcom Arab Labour and one of the country’s most successful writers. The remarkable journeys taken by two iconic American Jews are the subject of warm appreciations. Steven Lee Beeberon Lou Reed and Peter Ryley on Emma Goldman. Yair Raveh reviews two films that take as their subject the murder of a Shin-Bet agent by his informant. Bethlehem is an Israeli film by first time director Yuval Adler, and Omar is an Oscar-nominated Palestinian movie by Hany Abu-Assad. Finally, we spoke to Yariv Ben-Yehuda about the Israeli rock opera Sakhir. “Echoes of the Past into the Present”: Arguments in support of the ASA Boycott. Reading through the arguments of those proposing and supporting the ASA’s boycott of Israel, one can only be struck by the correspondence of the structure of argumentation with those of what some today like to call ‘real’ antisemitism as well as racism and Islamophobia in general These correspondences appear in the following way. First, they begin with a list of the litany of Israel’s crimes. Many of the crimes of which Israel is accused they are indeed culpable. However, in the context of boycott two points come to the fore. The first point turns on the widely debated question of ‘Why Israel’? As many have shown and many more acknowledged, none of the crimes committed by the Israeli state are either unique nor their most terrible expression. As many of those opposing the boycott have argued, this is no excuse not to bring them to light. Yet, many of these same people are uncomfortable with the fact that of all states who commit these and worse crimes, only Israel is singled out for boycott. The response to this concern is that it is being used to ‘deflect attention’ from Israel’s treatment of Palestinians and constitutes the diversionary tactic of ‘whataboutery’. As with so many other areas of the boycott discussions, the battleground of ‘whataboutery’ is neither new nor novel. It has been a component part of debates about Jews for a very, very long time. The lines of this debate have more or less remained the same. On the one hand, there are those that say that there is something ‘innate’ about Jews, Judaism and Jewishness and, more recently Israel, that sets it apart from the rest of the world and, as a consequence, deserves special or, if that word is now too emotive, unique treatment. More often than not, such allegations of uniqueness are presented as the reason or cause that, with the best will in the world, Jews or Israel should be denied the rights of those granted to non-Jews or states that are not ‘Jewish’. On the other hand, there are those that say that the differences that distinguish Jews from other religions and peoples and Israel from other states, are no reason, no excuse, to deny such rights, rights freely available to everyone else. Perhaps the most famous instance of this contestation is Karl Marx’s polemic against Bruno Bauer around the question of Jewish emancipation in the 1840’s. As is well known, Bauer argued against Jewish emancipation. He argued that as long as Jews remained Jews they were to barred from being granted the same rights as those among whom they lived. There was, he declaimed, something unique, something special about Jews and Judaism that prevented them from the benefit of emancipation into the emerging nation-states of his time. Bauer has posed the question of Jewish emancipation in a new form, after giving a critical analysis of the previous formulations and solutions of the question. What, he asks, is the nature of the Jew who is to be emancipated and of the Christian state that is to emancipate him? He replies by a critique of the Jewish religion, he analyzes the religious opposition between Judaism and Christianity, he elucidates the essence of the Christian state……..
Man, as the adherent of a particular religion, finds himself in conflict with his citizenship and with other men as members of the community. This conflict reduces itself to the secular division between the political state and civil society. For man as a bourgeois [i.e., as a member of civil society, “bourgeois society” in German], “life in the state” is “only a semblance or a temporary exception to the essential and the rule.” Of course, the bourgeois, like the Jew, remains only sophistically in the sphere of political life, just as the citoyen [‘citizen’ in French, i.e., the participant in political life] only sophistically remains a Jew or a bourgeois. But, this sophistry is not personal. It is the sophistry of the political state itself. The difference between the merchant and the citizen [Staatsbürger], between the day-laborer and the citizen, between the landowner and the citizen, between the merchant and the citizen, between the living individual and the citizen. The contradiction in which the religious man finds himself with the political man is the same contradiction in which the bourgeois finds himself with the citoyen, and the member of civil society with his political lion’s skin. As with Bauer’s antisemitism, one of the consequences of demanding sole focus on Jews and only Jews, and, correspondingly today, Israel and only Israel, is exclusion, from the state and, today, from the community of states. As in the past, the call for boycott opens up an abyss between, on the one side ‘Israel’ and on the other side, the rest of the world. In contemporary terms, by placing the call for boycott of the need for international solidarity as a means of resisting Israeli criminality, the radical antisemitic vision of the division between Jews and humanity is re-articulated in the divide between Israel/Jewish Israelis and the rest of the world. Like Jews of the past, Israel is now recast as the ‘other’ of ‘humanity’. The second main structural element of arguments made in support of the ASA boycott and one visible particularly in Claire Potter’s account of her Damascan moment, is the old tale of Jewish privilege. Of all the states in the world who receive US funding and financial assistance, Israel, it is said, is the most ‘privileged’. Israel receives more than any country in US military aid. Israel receives more support in the UN and security council than any other of its allies, etc.. These facts are, of course, true. But they are presented not as a consequence of past and present political considerations (for example, that US funding and support for Israel began, originally from the prior recognition of Israel by the then Soviet Union (the first country to recognise the Sate of Israel in 1948), the divisions of the Cold War, the rise of Arab pan-nationalism, the Iranian Revolution, the rise of Islamicism and anti-Americanism, the obsessive focus of Israel in some of the UN instiutions, and so on). Instead, they are presented as instances of a specifically Israeli privilege (often, but not always, an argument connected to the alleged omnipotence of the ‘Israel’ or ‘Jewish Lobby’). Needless to say, this idea of Jewish privilege by the state is not new in the annals of both the history of antisemitism or of racism in general. For example, it was common currency in the debates surrounding and following Jewish emancipation. It also forms a core component of contemporary Islamophobia; that somehow the British state ‘prvileges’ the concerns of British Muslims. This notion of Jewish/Israeli privilege connects with the third point; that one cannot say a bad word about Israel without being labelled an ‘antisemite’, See also Clare Short’s letter in support of Rev Stephen Sizer in the Jewish Chronicle, 20th December, 2013. The BDS movement constantly respond to accusations that its call to boycott Israel and only Israel taps in to antisemitic ways of thinking by claiming that, first, one must distinguish between ‘real’ antisemitism and ‘criticism of Israel’, and secondly, that they are free from the seductions offered by antisemitism in forwarding their own aims. As the structure of their arguments show (both in form and content) neither claim is sustainable. Colin Shindler: The non-Jewish Jews who became the scholars of an ideological dreamworld. During Jewish Book Week in February 1958, the great Marxist historian, Isaac Deutscher, gave a talk entitled “The Non-Jewish Jew”. It was later published and became required reading for the student revolutionaries of the 1960s. Deutscher tried to explain why some Jews embraced the revolutionary imperative and relegated their Jewishness to a secondary level. As an ilui (child prodigy) of the yeshiva of Chrzanow in Poland, Deutscher supplanted God with Lenin and Trotsky at an early age. Although he moved beyond the Jewish community, he never renounced his Jewishness. He believed that non-Jewish Jews symbolised “the highest ideals of mankind” and that Jewish revolutionaries carried “the message of universal human emancipation”. He regarded such figures as optimists. And yet his father, the author of a book in Hebrew on Spinoza, disappeared in the hell of Auschwitz. Deutscher argued that such Jews existed on the borderlines of various civilisations, religions and cultures. And from there on the margins, they were able to clearly analyse societies and events – and guide humanity into more benevolent channels. His revolutionary heroes included the Talmudic heretic, Elisha Ben Abuya who was the teacher and friend, according to the midrash, of Rabbi Meir Baal Hanas. While his actual misdemeanours were never revealed, Ben Abuya was at pains to warn his close friend, Rabbi Meir not to transgress the Sabbath when he was unwittingly in danger of doing so. Why did Elisha do this if he was the advocate of heresy? Why did Rabbi Meir maintain his friendship with Elisha when the entire Jewish community had boycotted him? Such questions perplexed Deutscher, who identified with Ben Abuya and regarded him as the model for contemporary revolutionaries such as Rosa Luxemburg and Leon Trotsky. Yet this story and its mystery did point to the convoluted issues that faced non-Jewish Jews who had travelled outside the community yet culturally remained within. Such issues of national identity and internationalism affected many Jews on the European Left who were often marooned between identities. Robert Fine's talk to the UCU meeting "Legacy of Hope: Anti-Semitism, the Holocaust and Resistance Yesterday and Today."